So I got inspired and tried some three-colour sprite palettes! These are all my fantrolls if you're curious. Serpaz Helilo is my favourite Vast Error character and I may have a small crush on her. I mean what. 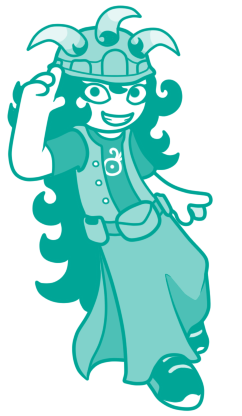 I drew AncientExcursion's fantroll Coleco, because she's cool and Ancient's cool and I got bored and wanted to draw. Woop woop. Woaah, Your art is super cool! i love your style. I've sprited every Act 2 Troll Call troll, and I am feeling very proud of myself. Also those fantrolls are pretty great looking :DDD!!! God bored, needed a new Discord avatar, decided to draw myself in my probable classpect! I prefer being a Mage of Blood but at this point in my life I feel like this is a little more accurate. I'll just switch between the two.